Plans approved - check. Finance approved - check. The builder's contract has been signed so our long awaited renovation is due to commence next week. The bird on that kettle isn't the only one whistling for joy! A temporary power pole is going in on Tuesday and then a bit of demolition work will occur before the house is raised. In the meantime I've been having a hard time selecting the bathroom floor tiles - some were too big, some were too small and others weren't quite the right colour. 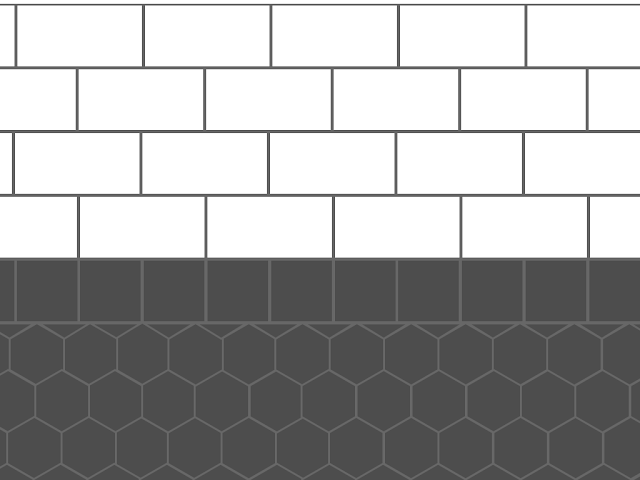 So - I'm getting custom tiles made to measure. I've picked bluestone which is being cut into a 35mm x 30mm hexagon mosaic. 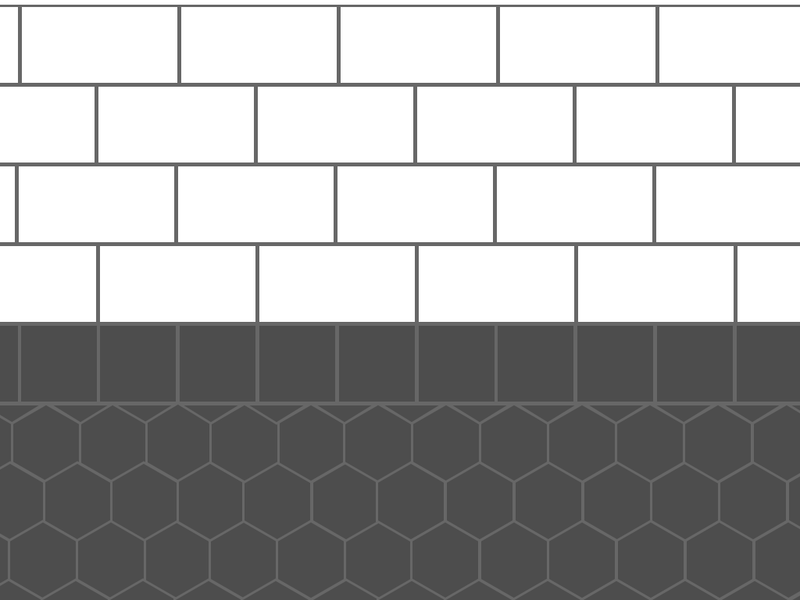 I've also decided to put in a skirting tile, so they are also making up a square 98x98mm bluestone tile so that the grout lines will line up with the subway wall tiles. Fussy, I know. Now the only thing left to select is an oven, and unfortunately both the ones I have in mind have proven difficult to track down. I've managed to find a Smeg pyrolytic oven - the only one in Brisbane is at Winning Appliances at Indooroopilly. 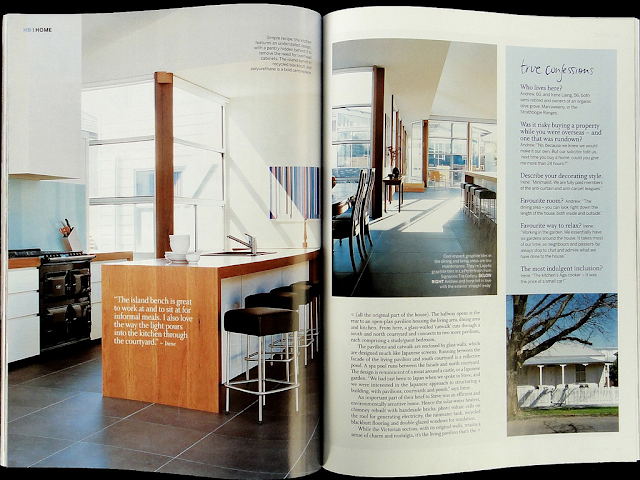 As for the AGA, I will have to fly to Sydney or Melbourne to see it as there are no retail outlets in Queensland. 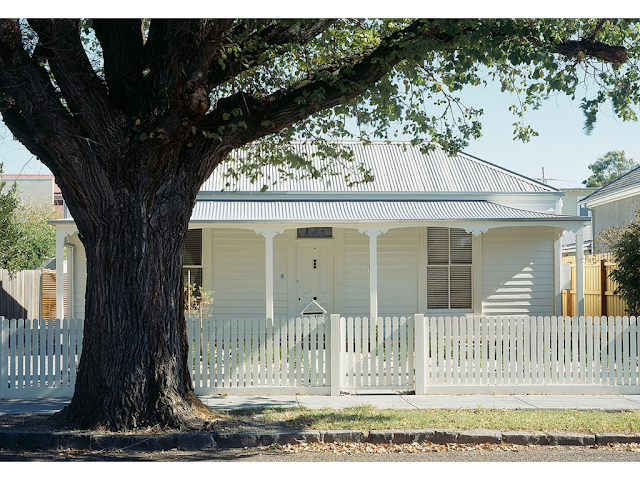 This gorgeous weatherboard house below, located in Williamstown Victoria, was featured in Home Beautiful magazine (circa June 2006) and is probably where I first saw an AGA oven. I've always been fascinated by older-style houses that are combined with contemporary new additions - the perfect mix I think. So happy for you! We finally bought an oven this week went with an ilve. Ilve coorparoo have a big sale on the floor stock ATM 35% off in case you didn't know... Good luck can't wait to see the pics! I can't wait to follow the renovation and see all of your wonderful ideas come to life!